Russian Foreign Minister Sergey Lavrov has criticized reactions in Armenia over the deaths of a Gyumri family, killed last week by a Russian soldier who confessed to the slaying of the seven. “We can see attempts of politicizing this situation that stem neither from the Armenian government, nor from Russia. There are many who desire to use this tragedy in order to receive its geopolitical dividends,” Lavrov said at a conference in Moscow emphasizing that Armenian-Russian relations will not suffer because of this situation. On Wednesday the youngest member of the seven-member Avetisyan family, attacked and killed in Gyumri, six-month-old Seryozha Avetisyan was buried, after a week-long fight for the infant’s life failed. Valeri Permyakov, a 19-year old Russian serviceman stationed in 102nd military base in Gyumri is accused of the crime. Armenian officials seems to agree with Lavrov, because, even though society mostly demands that the accused be handed to the Armenian jurisdiction, the political officials prefer preserving relations with their military ally. 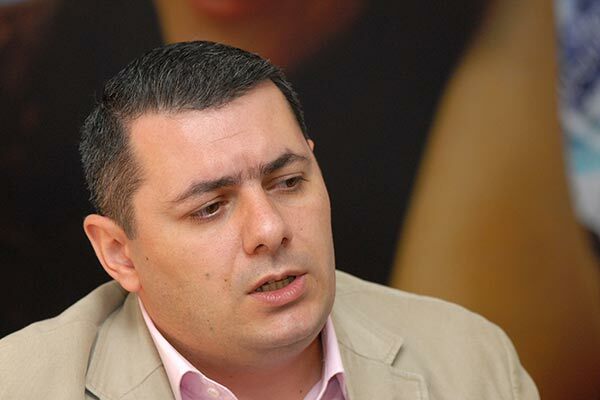 According to political analyst Sergey Minasyan, deputy director of Caucasus Institute, it is exactly for political, geopolitical and military expediency that the Armenian government does not demand that the investigation be handed over to them, because legally all facts speak for them. “I do not think that there will be serious changes in Armenian-Russian international relations; besides, new legal practical mechanisms will be formed for the military base in order to prevent such occurrences from repeating in the future,” Minasyan told reporters. According to the political analyst, Armenia needs good relations with Russia for security reasons, while “if something happens, and that military base is removed from Armenia, Russia will not disappear from the world map”. Simply, Russia is seen as Armenia’s protector, and the security of the republic cannot be weighed against the tragedy apparently perpetrated by a teenage serviceman whose actions appear driven by his mental state, rather by any nationalistic tendencies. However, not everyone in Armenia agrees with Minasyan. Political analyst Stepan Danielyan thinks that, for instance, Russia has a lot to lose if the military base were removed from Armenia (as some are calling for, in the wake of the Gyumri murders). “Russia loses its presence in the Caucasus, its influence on the future Kurdistan, NATO military bases appear in the Caucasus, with that - serious security problems in the South, oil and gas from the Middle East and Azerbaijan flow to Europe, nobody else needs its gas and oil, thus it loses 50 percent of its export, the budget gets empty,” Danielyan wrote on his Facebook account. “If Armenia had a national government, then Russia would be willing to do anything for Armenia, not the opposite, and here not Russia, but we are to blame for this, as long as we allow the existence of such government,” Danielyan said.